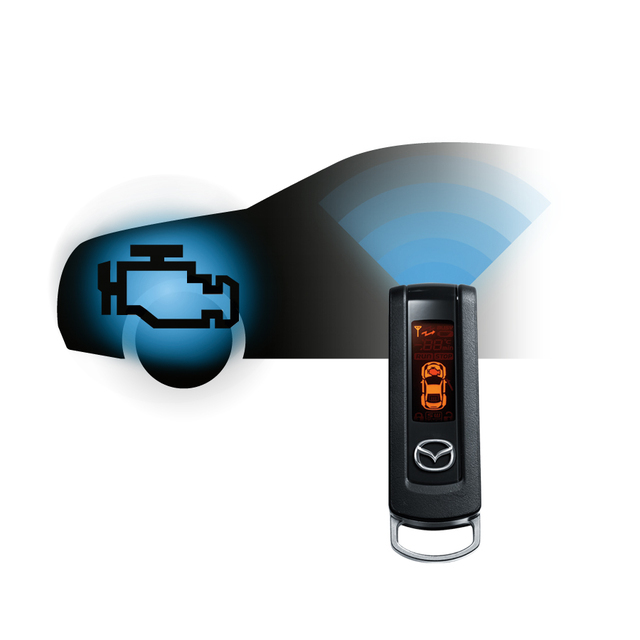 Description: Get to your warm, or cool, happy place even faster with Mazda’s Remote Engine Start. From the field to the parking lot, or up to 300 feet, it lets you pre-heat or pre-cool your car’s interior, start the rear defroster or even help locate your CX-5. Withits two-way capabilities, it lets you check the status of your CX-5’s warm-up time and other operations using the LCD monitor on the remote control (automatic transmission only). Note: Automatic Transmission Only. Only 1 Remote Start Key Fob Included. Requires Installation Kit. CX-5 /Mazda 6 Vehicles without factory alarm require hood switch. Mazda 3 vehicles with 2TE pkg do not require switch.